FROM 14TH JULY 2018 WE HAVE GONE PLASTIC FREE! We started the box scheme as environmentalists and campaigners and we have always tried to research and understand how to minimise the impact from our products. 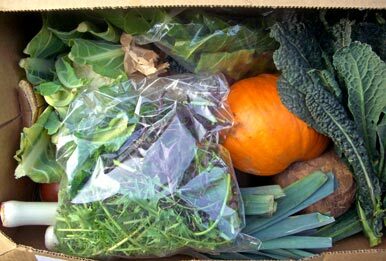 The box scheme allows us to get produce to people straight from our fields. We have a policy of minimally packaging things if possible.